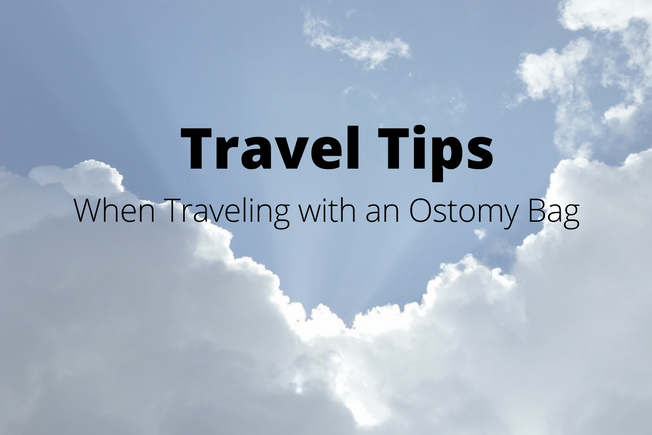 Travel Tips When Traveling with an Ostomy Bag! Traveling with an Ostomy isn’t easy. Those adjusting to life with an ostomy bag should make clear plans for their time traveling. At C&S Ostomy Pouch Covers, we have over 10 years of Ostomy life experience and have compiled Top Tips When Traveling with an Ostomy Bag to help guide you during your journey. By following some of the points listed below, you will be able to enjoy your trip, and arrive feeling relaxed and refreshed. Ostomy Travel Tip #1: ALWAYS carry supplies with you! Put your supplies in a carry-on luggage to guard against lost baggage. (A small suitcase with wheels is a good idea). Sometimes, airlines lose your checked luggage and if your supplies are inside, you might go days without your necessary supplies. To secure you have the supplies you need, always dedicate a carry on bag to take them with you. Ostomy Travel Tip #2: Always pre-cut your pouches, scissors will be taken by TSA. Ostomy Travel Tip #3: Always comely ask for a supervisor at the security checkpoint if there is a concern. Do not get into a debate with the security. Ostomy Travel Tip #4: A TSA travel card can be downloaded off our web site www.cspouchcovers.com. Bringing Boring Ostomy Bags to Life!